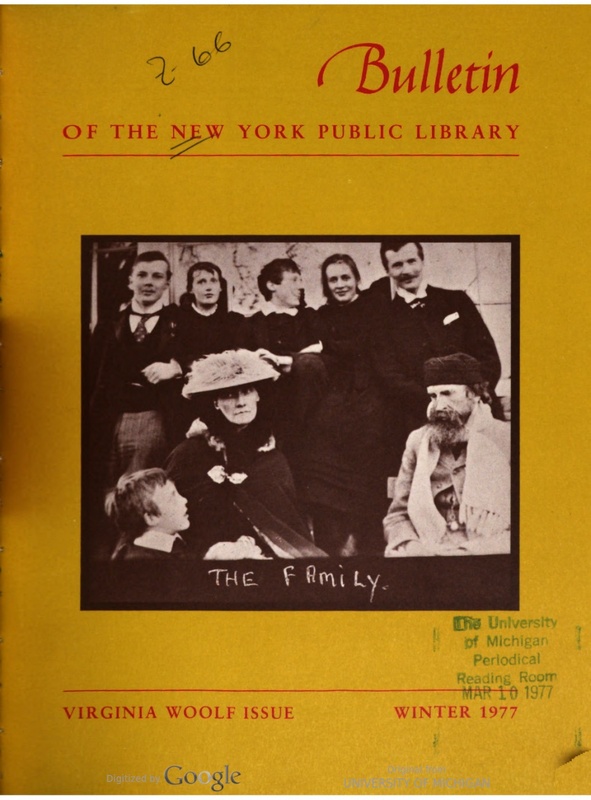 The Bulletin of the New York Public Library dating from 1897 through 1977 is now online and includes the Virginia Woolf Issue, Issue 2, Winter 1977. This issue features the Stephen family on the cover, along with multiple articles on The Years and essays that examine Three Guineas. A special treat in the issue is Woolf’s hand-drawn genealogy of the Pargiter family that appears on the reverse of the Contents page, Page 155 in the PDF. Issue 2 begins on page 152 in the PDF numbering. Thanks to Vara Neverow and the VWoolf Listserv for news of this online resource. I first read Virginia Woolf as a college junior. I started with Mrs. Dalloway for a class and moved on to The Years on my own. My love for Woolf was immediate, but I knew my readings were only scratching the surface. 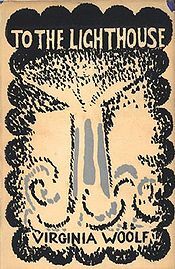 Over the years, I dipped into more Woolf — To the Lighthouse, A Room of One’s Own, Orlando — all just for fun. It wasn’t until I enrolled in a master’s program and made Woolf my focus that I truly took an in-depth approach to her and her writing. But that doesn’t mean Woolf can’t be instructive for the common reader, as evidenced by my own experiences and those indicated by three recent pieces I found online. An article in Bustle, “18 Books Every Woman Should Read When She’s 18 (Because I Sure Wish I Had),” argues that every 18-year-old woman should read To the Lighthouse. And in Sydney’s Daily Life piece, “The Truth About Feminism,” Annabel Crabb cites A Room of One’s Own as an explicitly feminist piece she read as an 18-year-old, while a current-day college students cites the book as a feminist classic as well. 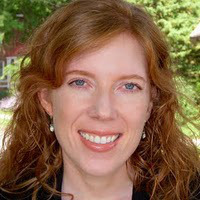 Elizabeth Evans will give a lecture titled “Virginia Woolf’s Airplanes: Air Power and Aerial Views Between the World Wars” at 6 p.m. on Feb. 17 in Technology Building Room 301 at Purdue University North Central. It is free and open to the public. Evans, assistant teaching professor at the University of Notre Dame, will examine the effects the growing importance of military air power had on British art and literature during the interwar years. 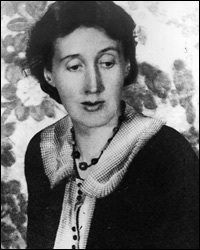 Her research focuses specifically on Woolf’s work, specifically Mrs. Dalloway (1925) and The Years (1937). 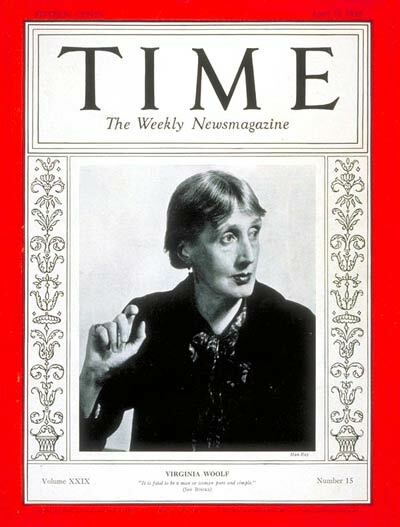 In a 2013 essay, “Air War, Propaganda, and Woolf’s Anti-Tyrrany Aesthetic,” which appeared in Volume 59, Issue 1 of the journal Modern Fiction Studies, Evans argues that Woolf is both attracted to and troubled by the unique point of view the airplane provides. 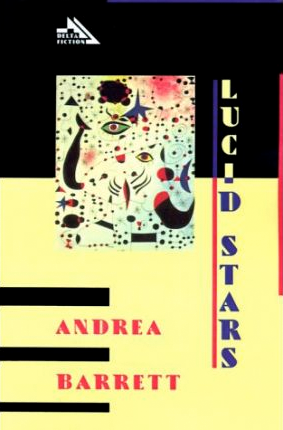 She admires its aesthetic possibilities but is disturbed by its seemingly inevitable links to warfare. 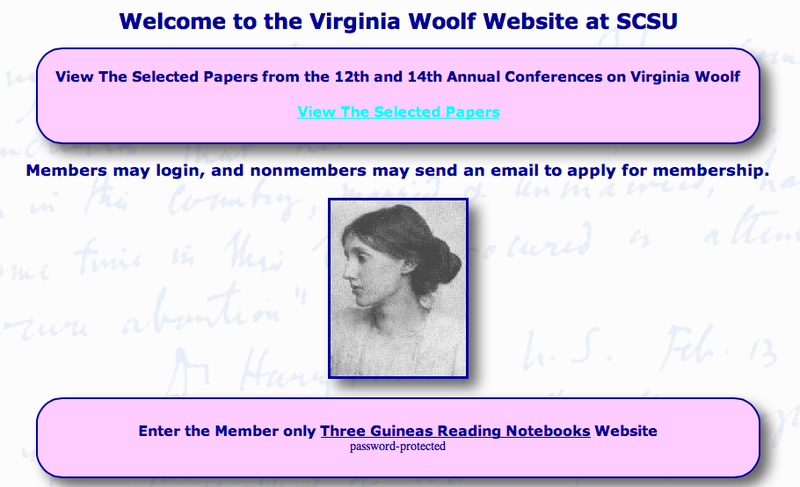 Evans edited Woolf and the City: Selected Papers from the 19th Annual International Conference on Virginia Woolf (2010). 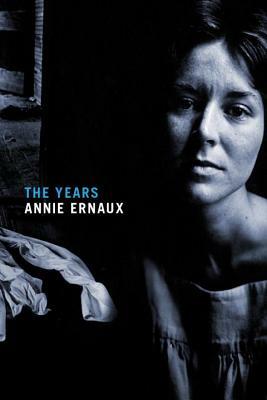 She is now at work on a book about aerial views in British and Anglophone writing from the early twentieth century to the present. For more information, contact Dr. Heather Fielding, PNC Assistant Professor of English, at hfieldin@pnc.edu or at 219-785-5327. It’s International Book Week. Or so the Internet meme goes. According to this meme, readers are asked to grab the closest book to them, turn to page 52 and post the fifth sentence as their status. Trouble is that there is no such thing as International Book Week. Let’s play along anyway, but with a Woolfian twist. The rules: Grab the closest book by Virginia Woolf. Turn to page 52 and post the 5th sentence as your status. Don’t mention the title. Add your sentence in the Comments section below this post. And see if you can guess which work of Woolf the quotes are from. In 1983, Brenda Silver produced the foundational work on these manuscript materials when she published Virginia Woolf’s Reading Notebooks, a volume that summarized more than 40 volumes of Woolf’s notes, including those compiled during the 1930s. Because Silver’s work covers such vast territory, it can be described as “a dated list of the contents of each of the notebooks.” As a result, it gives us an inside look at what Woolf was reading as she was writing her novels and essays. Although it is out of print, hard copies of Virginia Woolf’s Reading Notebooks can be obtained from second-hand sellers and libraries. Now Woolf scholars and common readers everywhere can once again obtain access to the notebooks Woolf used when writing Three Guineas through the Three Guineas Reading Notebooks website. The password-protected site requires users to purchase an annual subscription. To do so , send an email to Vara Neverow. What the site gives subscribers is online access to fragile archival material that one would be forced to travel to England to access. Included are digital images of three of Woolf’s reading notebooks that are part of the University of Sussex’s Monk’s House Papers. According to Neverow, Merry Pawlowski conceived the concept of preserving these documents digitally in the 1990s. Pawloski and Neverow worked together on the project and originally launched a website created and hosted at California State University, Bakersfield until last year. The website has now been transferred to Southern Connecticut State University. Both are downloadable as PDFs at no cost. ¹This is briefly discussed in Mark Hussey’s Preface to Harcourt’s annotated edition of Three Guineas (2006).